SAMAN Portable Office Solutions offers customer-focused services with a mission to promote eco-friendly infrastructure. 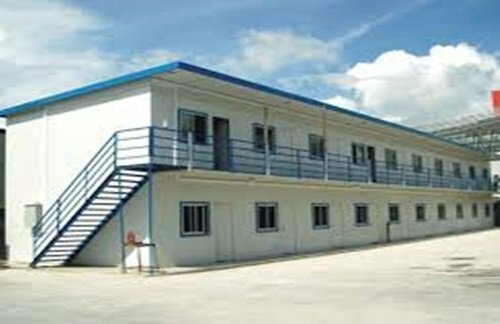 As a customer, we offer you a variety of modular building options, and you will have the opportunity to customize your selections as per your requirements. In the era of globalization its practically impossible to get settled in one place. So why invest your hard earnings in a brick & mortar structure when you get the best by spending a meagre amount. Whether you are running a company or want to travel to the countryside, the portable cabin by Saman offer immediate installation opportunity with minimum cost. Imagine you are travelling along the mesmerizing countryside enjoying the picturesque beauty of nature and suddenly feel like captivating every moment. If you are carrying your portable cabin kit, it won’t take you much effort to build a cabin and a portable toilet to spend some time. By hearing the word “portable cabin”, the first idea stuck into our mind is a small shed which contractors and business persons use for commercial purposes. 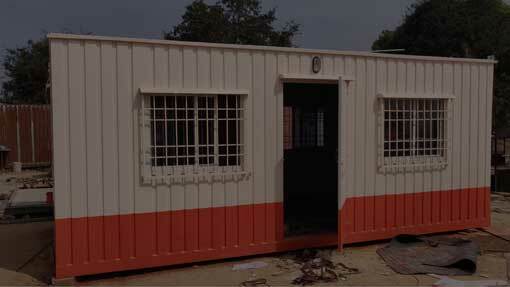 However, a modular cabin can also be used as storage space. It could be a perfect addition to replenish the need for building additional space in your backyard or front yard. You can transform them into a garage, a workshop, an in-house gym and many more. At SAMAN, we take extreme proud in the dedication our team who works relentlessly to improve the quality of our products and services. Since our inception, we carry the philosophy of ‘constant improvement’ in our gene, and we never looked behind ever since. Ensuring a productive implementation of this principle, we left no stone unturned to keep up with the experience we are offering to our customers. Easy to install: We know that people only pay for a product, but they also pay for convenience as well. Utilising modern technology and skills of our experienced professional, we have engineered an end-product that breaks the old proverb where people believe the best experience often brings complications. Our portable cabins are so comfortable to handle that; you may even do it by yourselves. Moreover, unlike a permanent building, you have to spend a fortune in maintenance. Maintaining a lifetime relationship with clients are our primary goal. Therefore, we strive to keep the improve the consistency of our support. The longevity of a partnership depends upon durability. The same law applies to our portable cabins as well. We use eco-friendly raw materials combining the prowess of sophisticated technology. In return, you receive a product that lasts longer than for generations. When you choose SAMAN, you are choosing a cabin with solid interiors and exteriors which possess perfect construction quality. 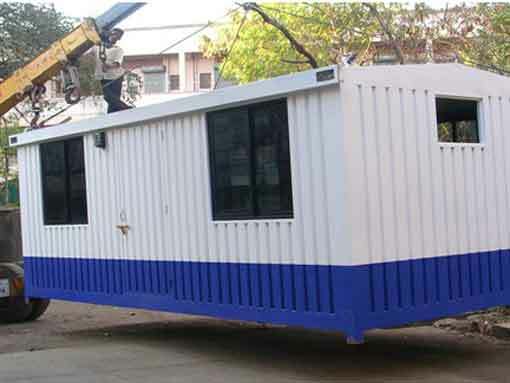 At times you might need to construct a temporary office on short notice at a specific location. To build a permit, you might have to go through a series of processes such as land permit, construction permit, hiring construction workers, along with investing a hefty amount of money. On the other hand, you have ‘portable cabin’ which is just a call away. You won’t have to train or hire any additional workers, nor need you to appoint any supervisors to look over the project. At SAMAN, we have a team of professionals who take care of everyone on your behalf. It won’t take much time. Before you know it, your on-site cabins will be ready for your employees where you can make client’s call, accommodate meetings and engage in daily discussions. So, the choice is yours! One cabin, different purpose: Our portable cabin is easily customizable according to the necessity of our customers. The use of our cabins is not limited to four walls. At SAMAN, we offer you a whole different world to explore and change your location without changing your house. 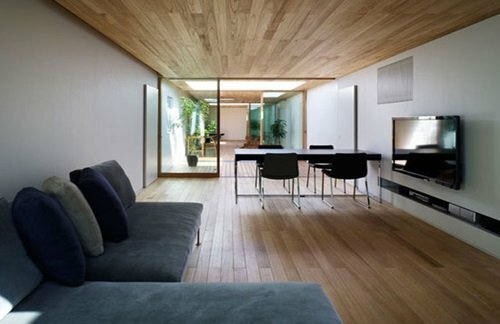 Our cabins comprised of lavish wooden materials which give it an elegant outlook. Our portable cabin is easily customizable according to the necessity of our customers. The use of our cabins is not limited to four walls. At SAMAN, we offer you a whole different world to explore and change your location without changing your house. Our cabins comprised of lavish wooden materials which give it an elegant outlook. Are you looking for portable cabin? Just now call us because we have always flexibility to meet customer’s requirement. We have the best solutions for your requirements. So, what are you waiting for? Just reach to us because we have limited offers now. Changing Rooms: You can use portable cabin as changing rooms near swimming pools, gyms along with other associated places. It’s ideal to install them on playgrounds, trekking spots, picnic spots etc. Shops: Start selling your products without relying on any brick and mortar shops. 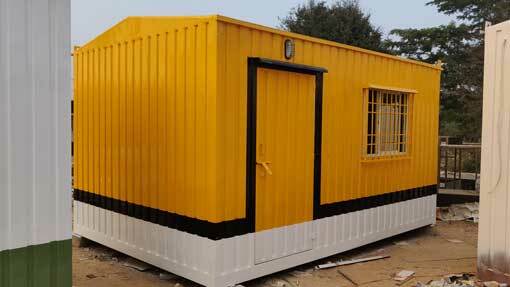 You can convert our modular cabins into an art gallery, a general store, book store etc. Add some unique decorating items to give it a welcoming appearance. Cafes and bars: You don’t need a specific place to start your dream. Convert cabins into cosy cafes or bars and start your business. Our easy-to-organize portable cabin serves different milestones for different individuals. For a businessman it can become their temporary office, for a traveler, it plays the role of a house, and for a family, it can transform itself into a bunk bed. That’s how we managed to spread so many smiles across so many faces.